On Thursday June 7th the Winnipeg Public Library in conjunction with Community Legal Education Association is hosting a free session on Estates as part of their Law in the Library series. During the session they will discuss topics such as duties of an executor, what needs to be probated, and issues regarding wills. Registration is required. For more information click HERE. In keeping with this theme, we have created a display of relevant titles available here in the library. If you’re looking to take out any of these books, please see a staff member. (48 hour loan period). The Court just released its decision on Groia v. The Law Society of Upper Canada, 2018 SCC 27, clarifying the test for when a lawyer’s conduct in the courtroom becomes professional misconduct. In a 6-3 decision authored by Justice Moldaver, the Court laid out the framework under which lawyers can provide a vigorous defence of their clients. While the Court agreed the law society’s appeal panel adopted the correct test for a finding of professional misconduct, they disagreed with the application. Since this decision was just released on June 1st, there will be more commentary to come. Keep checking CanLII Connects for more news. On Tuesday, May 29th the Winnipeg Public Library in conjunction with Community Legal Education Association is hosting a free session on Small Business and the Law as part of their Law in the Library program. Lawyer Samuel Goszer, of Duboff Edwards Haight & Schachter Law Corporation will be speaking on different forms of business organization and licencing and legal requirements. Registration is required. Click HERE for more information. To keep up to date with what is happening around Winnipeg, we are featuring a display of some of our texts on business law to help you and your clients. 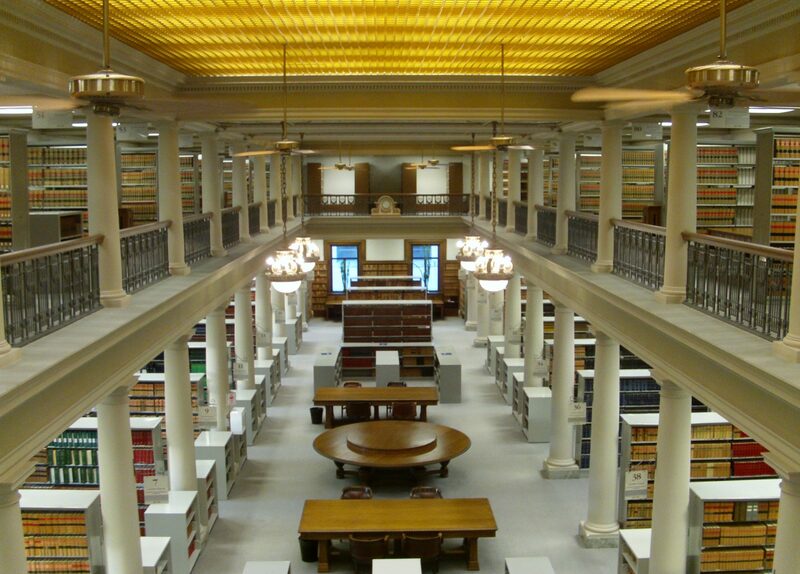 The Manitoba Law Library will be closing at 11:00 am on Friday, May 25 for a swearing in ceremony reception. After hours access will be available after 5:00 pm on Friday. Regular hours will resume on Monday, May 28.